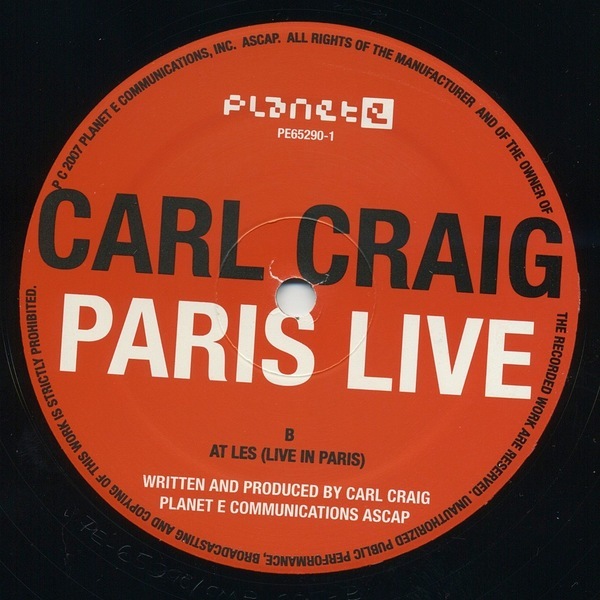 Artists don't come much more influential or important than the great Carl Craig, it's no surprise that his records never last long around these parts! 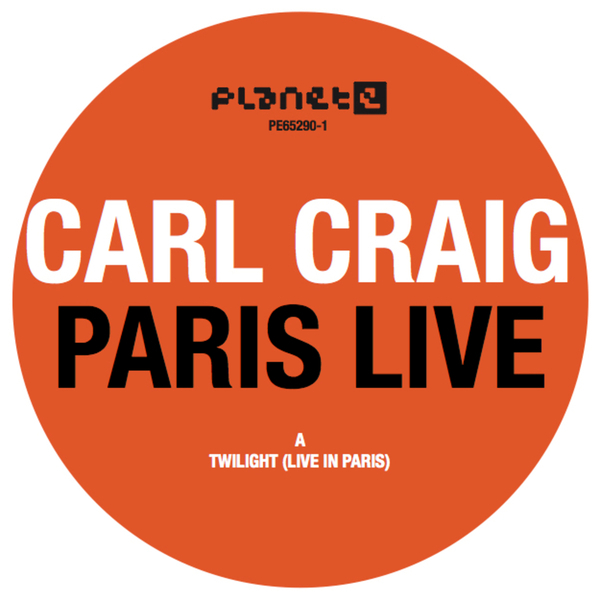 This lavish 12" is a recording of selections from last year's live show in Paris and sees the great man joined by Wendell Harrison on Clarinet and Saxophone, and Underground Resistance main man 'Mad' Mike Banks and Kelvin Sholar on Keyboards all of whom add an extra dimension to Craig's tracks. The addition of the saxophone is the most obvious and the instrument soars over new versions of 'At Les' and 'Twilight' - it's maybe going to upset the purists but then what doesn't? Ace.